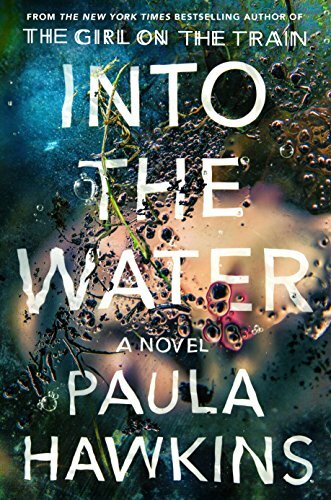 So, I just finished reading INTO THE WATER by Paula Hawkins and although it was well promoted and was considered a must-read, I have to say that I have mixed reviews. It starts off with Jules, the main character receiving news that her estranged sister, Danielle has died in ‘The Drowning Pool”. We learn very quickly that it is a popular spot where women go to commit suicide. Even though it had a slow start, I was intrigued to find out what really happened to Danielle and the mystery surrounding the lake. One of the things I liked about the story is that each chapter was told from a different character’s point of view regarding what they think happened and there relationship with Danielle as well as the town. My nitpick is that even though we find out that each character has buried secrets of their own, it was still really hard to connect with them. Jules remained mysterious throughout the story because for so long she hated her sister over what turned out to be a big misunderstanding, which is why I found it hard to believe that she was truly devastated by her sister’s death. I did really like the mystery surrounding the lake and how each victim had an intriguing past. At the end of the story we find out what really happened to Danielle and even though it was anticlimactic, I was still shocked. Overall I give it three and a half stars!! To read more by me, tap here for LIKE A DREAM and here for MONSTROUS TIES!! This entry was posted in Book Review, Uncategorized and tagged #amwriting. Bookmark the permalink.